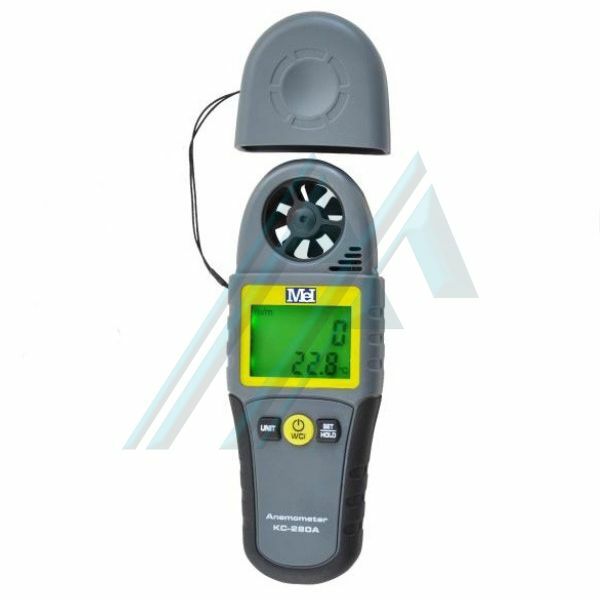 The KC-280A anemometer is a unit with high stability and advanced sensor technology. 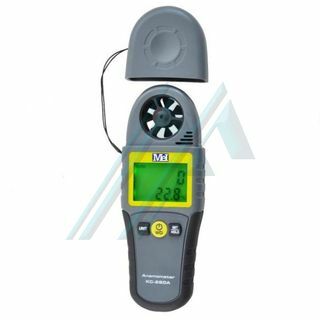 It can be used for measuring the speed and air temperature under normal environmental conditions. It is an ideal environmental monitoring instrument stations, hospitals, air conditioning in buildings, verification of ventilation and air conditioning and temperature calibration. 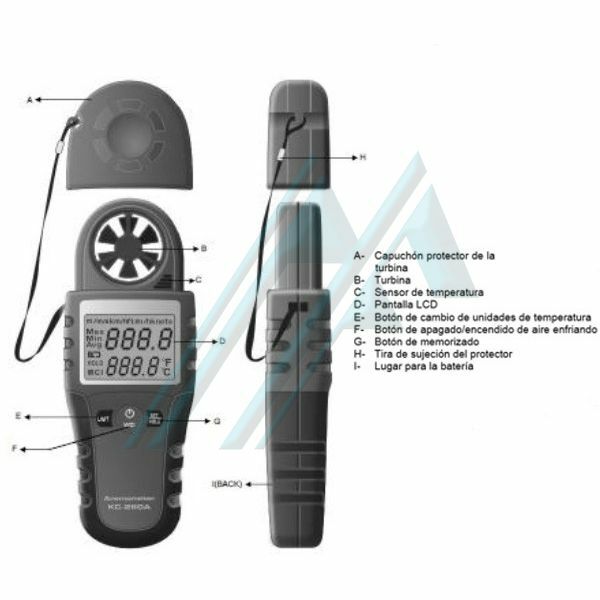 This model has the advantage of easy operation, quick measurement of the ambient temperature and air velocity. It is designed with low power consumption and no maintenance. 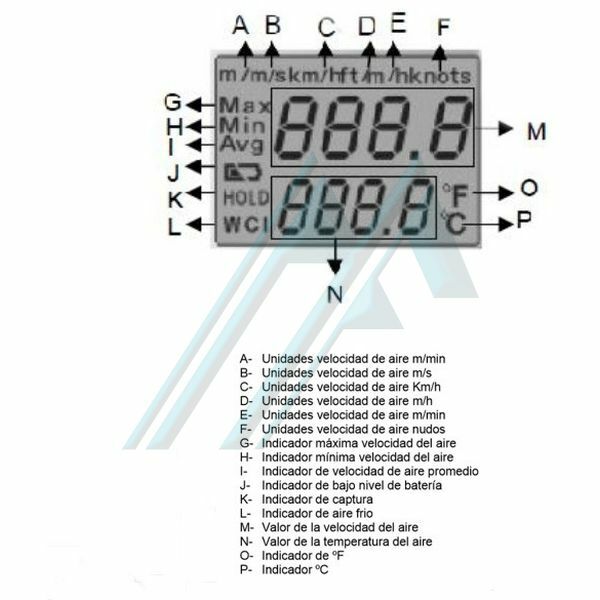 It has display lighting and the save function default parameters and automatic maintenance of measurement data thus avoiding reset each time it is turned.